It’s important to detect any leaks that are in a home because of the fact that they can cost you a lot more money than you realize, even if it’s a small leak. There can be several places around the Annapolis area home that have leaks without you ever knowing about it until severe damage has occurred, or the water bill has gone up sky high. Many homes experience extremely high water bills before they realize that they have severe leaks in the home, and sometimes, the leaks are outside of the home, which is why they are hard to detect. If you ever suspect a leak in the home, start the detection process by calling out a plumber to check for any leaks. The plumber can do several checks and tests to see if leaks are in the home as well as stopping the leaks that are present and doing repairs if necessary. Here’s what to do to look for leaks. It’s always important to look for leaks, even if you’re going to have a plumber come out to do an inspection and to repair the leaks. If you know where the leaks are ahead of time, then you can tell the plumber exactly where the leak is, and they can always do additional inspections to determine if more leaks are present in or around the home. Toilets– One of the most common leaks in a home is from the toilet, and many don’t pay attention to it or realize it. The toilet can be leaking from the base, from the back, or from the tank itself. Those who have a running toilet may hear a hissing sound. It’s even possible that the flapper in the toilet tank is loose or not fitted correctly, and water is continuously flowing out of the tank, so you’re losing water fairly rapidly. There is a food coloring test that many will do to determine if their toilet has a leak, especially if they don’t see water leaking from the toilet. This test can quickly discover a leak, so you’ll be able to point it out to your plumber. Faucets– The faucets around the home tend to be very problematic because they can leak easily once the parts inside the faucets start to wear. You may completely turn off a faucet, but water continues to drip. It may not seem bad, but a dripping faucet can easily waste gallons of water daily and possibly hundreds of gallons of water within a single month. If there are several leaky faucets around the Annapolis home, then that means there’s more water being lost through other faucets. The Garden Hose– Some will leave their garden hose on because it has a sprayer attached to the end that allows them to control when the water is sprayed. The problem is, if there is a leak in the hose somewhere, then it may be draining water onto the property without ever being used, and this can be a huge loss of water and a big water bill. Outdoor Piping– Many don’t think to check their pipes outdoors, especially ones that may be in an outdoor sink or pipes that connect to the hose outside. These pipes can easily leak, and many don’t detect the leaks until they see the pipe severely leaking or if they get a very high water bill which makes them suspicious. Broken Pipes In The Wall– Only if mold starts growing on the wall or the wall is continuously wet, then people in the home may discover that there is a leak behind the wall. Since a lot of the plumbing is hidden behind the walls, it’s possible that recent construction in the home or other issues have caused a leak in the pipes, which then have started wetting the walls and causing mold. If you’re certain the mold you see on the wall isn’t caused by warm temperatures and moist conditions, then consider the possibility that there are leaking pipes behind the wall. What If Leaks Are Found? 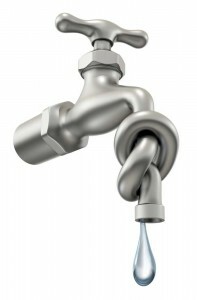 Anytime leaks are found, they should always be brought to the attention of a plumber. 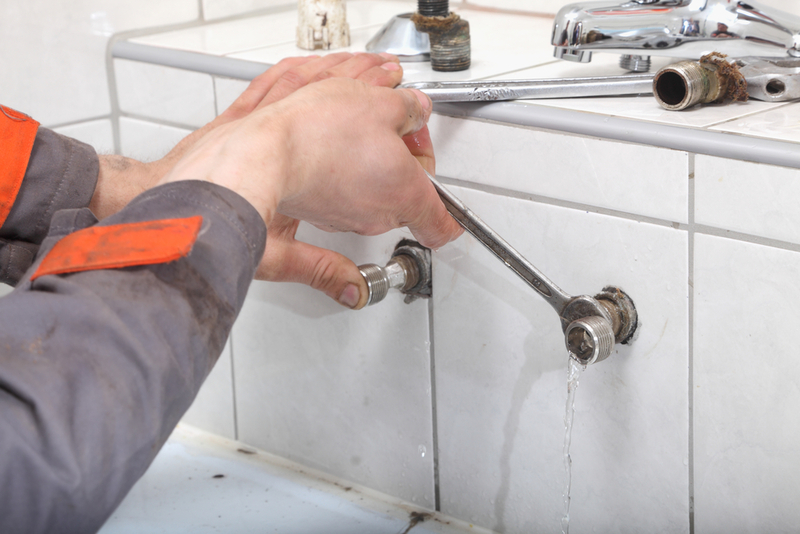 In certain cases, leaks can be repaired, but sometimes, pipes need to be replaced to get the leaks to stop. New pipes can easily be installed by a plumber if it is necessary, and this should stop the leaks. Those that have leaks coming from their toilets can get the toilet replaced, or it’s possible to have the plumber fix the part of the toilet that’s leaking if it’s repairable. It’s also a good idea to have the plumber check the water meter to do a test to determine exactly where the leaks are if you haven’t had any luck in discovering a leak but know that your water bill is too high. Get a plumber out to your home quickly. Plumbers know exactly what to do when it comes to leak detection, so get one out to your home as soon as possible, especially if you have several leaks in the home. Get leak repair from a trusted plumber at Heidler, Inc. in Annapolis, MD by calling (410) 268-7191 to do a water meter test.